Need Your Garage Door door replaced? With so many option out there let us assist you with choosing the perfect door. Below are a various amounts of different garage door designs & manufactures we work with. A properly working garage door is crucial to any home or business. Your garage door is the gateway to your home or business and keeps your family and belongings safe. When something goes wrong, or you decide its time for an upgrade, it is important that you understand your options to select the best replacement door. 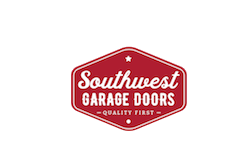 It can be difficult to determine where to start; Southwest Garage Doors is here to help. If you need a new opener, we can help you select the best Garage Door Opener based on your needs. Southwest Garage Doors offers Chamberlain Lift Master Professional ® openers which are professionally installed by our certified technicians. Our technicians will also ensure that you know about additional considerations including smartphone integration as well as additional security features for peace of mind. When replacing a garage door, you have many options to consider. Southwest Garage Doors offers America’s favorite garage doors by Clopay®. Classic Doors including 1 layer, 2 layer or 3-layer doors with simple but clean rectangular pressed steel designs. Classic doors are efficient and easy to install with many different window options. For a more stand-out design, we offer a selection of Modern Door options including solid doors, with or without glass windows, in a variety of configurations. If you prefer this popular modern design, you can choose from steel or realistic-looking natural wood doors with Custom Hardware options including a wide range of unique handles, plates, and hinges for a custom gallery look. More high-end options include the old-fashioned or rustic look of a composite Barn Door design which are available with or without insulation at surprisingly affordable prices. A barn door garage upgrade can transform your home into a fresh new look. You may also consider the solid and elegant look of a Wood Carriage Door. Carriage doors are crafted from high-quality materials which create a beautiful one of a kind look that can add so much to your home. All Glass Doors can give any space a facelift. Glass doors can be installed as an exterior or interior feature. A popular alternative, all glass doors are fully customizable and can be opaque or translucent and include many color options. Heavy-duty, reliable Commercial Doors are also available for your business or warehouse. Southwest Garage Doors can offer climate control features to increase efficiencies and keep valuables safe from harsh environments. Let us be your door experts; we are here to guide you through this process. We are confident that you will love your new garage door. Contact Southwest Garage Door today!! A broken garage door opener can leave you stranded or even stuck in you're garage. When a repair isn't an option or your starting from scratch. Here are some excellent options to choose from. A classic style garage door offers a simple but clean rectangular and square pressed steel design. Available with different window options & efficient insulation. Modern garage door designs can really make a statement. Looking for glass windows down one side or maybe a simulated wood grain finish. We have choices for even the wildest ideas. A steel barn door offers all the looks of a barn door without the price. Available in two different panel designs with tons of window options. Simulated wood finishes are available as well as solid colors. A steel garage door with or without insulation is used as the base of the door. Then one or two layers of simulated wood composite is attached to create a a realistic wood door appearance! Available in multiple different designs, finishes , and window options. Glass garage doors are constructed with an all aluminum frame that is available in multiple different colors. A selection of different glass materials and visibility options are available depending on its use. Wood Doors are constructed with two different base layers, steel or wood. Then a tongue and groove is wood cladding is attached to the base layer. Finally a second overlay is added to create a stunning design to fit your home. With multiple wood species and designs available, the possibilities are endless. A commercial door is built out of heavy 20-27 gauge steel depending on what your business needs are. Depending if you have a climate controlled building or just a warehouse theres a door for you. With efficient options with a R-value up to 22.5.